To make the most out of the great outdoors and experience an unforgettable holiday, come and stay at Indigo Le Moulin campsite in the Rhône-Alpes region. The site is situated 1.3km from Aiguèze, 20km from the Ardèche Gorges and 20km from Saint Montan. The campsite gives you direct access to the Ardèche river. The site offers you a warm welcome and the chance to take a break in the calm and be at one with nature. At this campsite, you will be met in the morning by a soft and comforting breeze, whilst your days will be spent basking in the radiant sun. 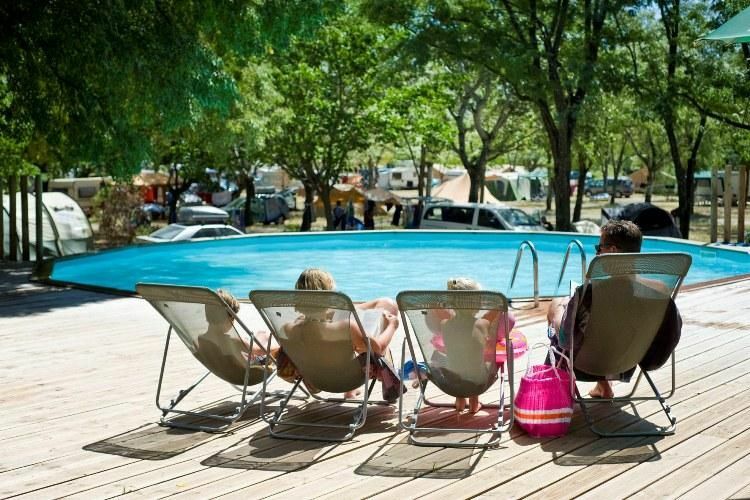 The swimming pool at the Indigo Le Moulin campsite lets you make the most of poolside fun with the family as you decide which other activities to take part in, such asadventure tree climbing, horse riding, fishing, hiking and water sports. The children can also spend the day in the play area created specially for them. For your outdoor holiday experience, the campsite features a restaurant, bar, snack bar, small shop and launderette, as well as internet access so that you have everything you need. You could also explore the region on foot or by cycling. The village of Saint-Martin dArdèche features a number of historic monuments and very popular tourist sites. You could also take a little trip to Aiguèze, considered to be one of Frances most beautiful villages. Indigo Le Moulin campsite is located just a couple of minutes away from the centre of Saint-Martin d'Ardèche. With its 11th century church and prehistoric tombs, this charming village is bursting with treasures. all this and more exciting adventures await you in the Rhône-Alpes region. And dont miss out on the other side of the river, where you can visit one of the most beautiful villages in France: Aiguèze. The splendid natural setting of the Ardèche invites you to come and explore.